BOXING LEDGER | LATEST BOXING BLOGS | BOXING ARTICLES | BOXING BLOG FIGHT: SERGIO "MARAVILLA" MARTINEZ WILL FIGHT JULIO CESAR CHAVEZ, JR. SOON! SERGIO "MARAVILLA" MARTINEZ WILL FIGHT JULIO CESAR CHAVEZ, JR. SOON! Julio Cesar Chavez, Jr. received his WBC championship belt after defeating former champion Sebastian Zbik on June the 4th, 2011. As per the WBC Rules and Regulations, a voluntary defense has been granted to the new champion to then proceed to fight the WBC Diamond champion Sergio Martinez, who will also make a voluntary defense on October the 15th. 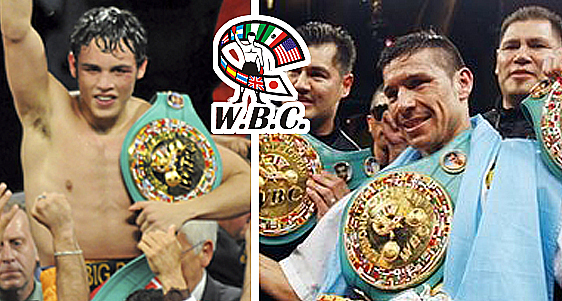 The WBC is very proud of both great champions and we wish them the best of luck.